Spring has officially begun and I am getting myself ready by rocking some spring shades on my nails. 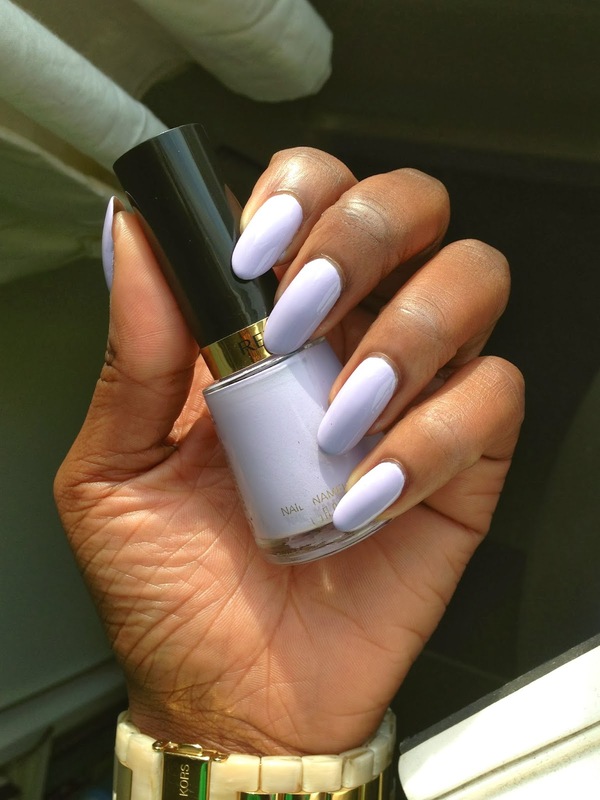 The weather doesn't quite feel like spring yet so I am still rocking that winter wardrobe but when it comes to my nails I am getting myself ready by rocking some pastel shades. For this week I went for another one of Revlon's colours, 211 Charming. It is a delicate pastel lavender shade which is a nice colour to follow up from last weeks' Dreamer and so far I am loving it. Although I love the array of colours revlon offers, I find cracks forming in my nails when nearing the 7 day mark which is a tad annoying as it means I am forced to change up my nail paint whether I had the intention to do so or not because by that point they dont look very presentable in my eyes. I will try to update this post when I reach or i'm nearing the 7 day mark so you better understand what it is I am going on about.